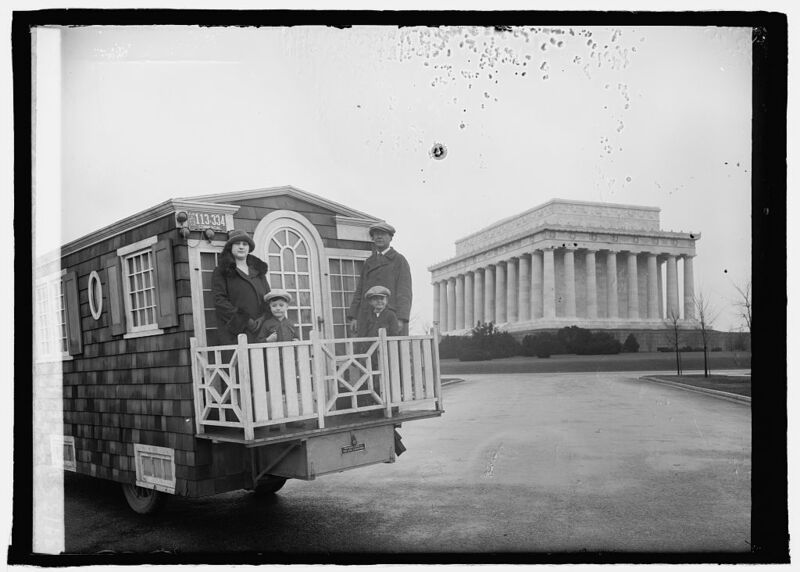 An early tiny house on wheels… and a family selfie. W.M. 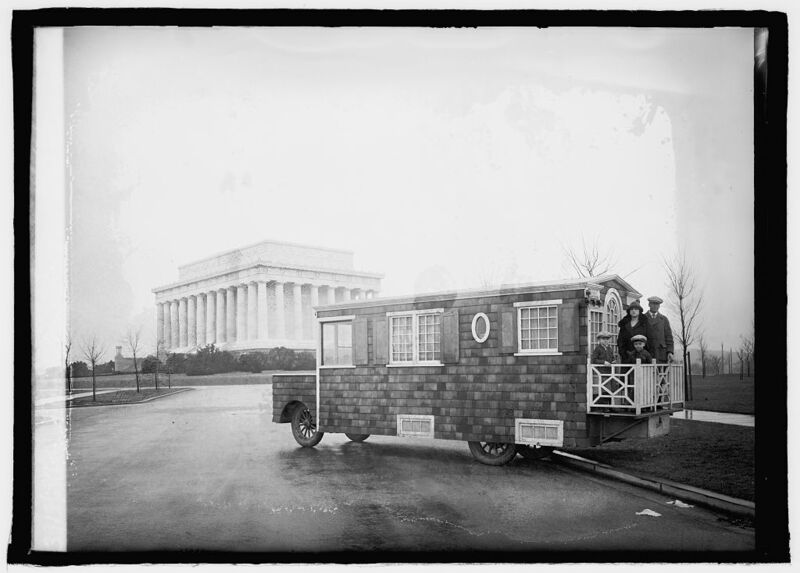 O’Donnell & family of Detroit in bungalow auto, 2/1/26. The Library of Congress has some pretty amazing stuff. I rarely find what I came for but I always find something pretty spectacular. This house (click to enlarge) is quite a piece of woodworking. Shingle siding all glass door, sturdy balcony, beautiful windows, under storage, and what I think is a pull out pan box on the back. The O’Donnell’s were certainly traveling in style. The amount of joinery that went into the door and windows is probably more than is found in most houses today. I really like the old basement windows used as storage access underneath. As usual, I could find no interior photos but I suspect it was well appointed. If this isn’t inspiring, I don’t know what is. Mlle. 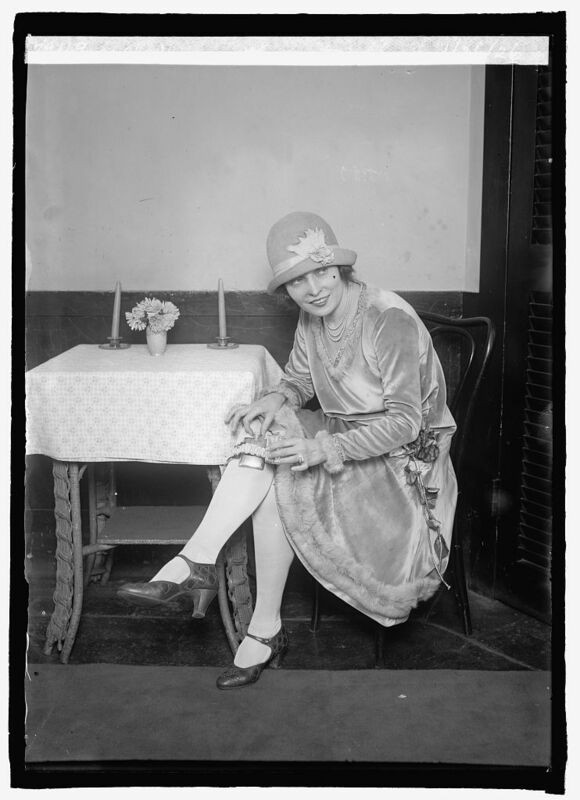 Rae with garter flask, 1/26/26.